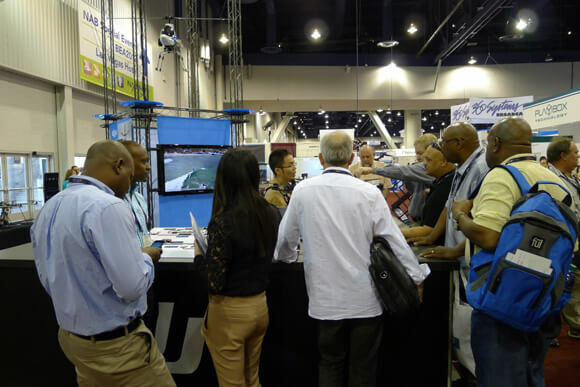 On April 16, 2012, one of the most prestigious exhibitions in the world’s E-communication and broadcast media—the NAB Show (the National Association of Broadcasters) was held in Las Vegas. 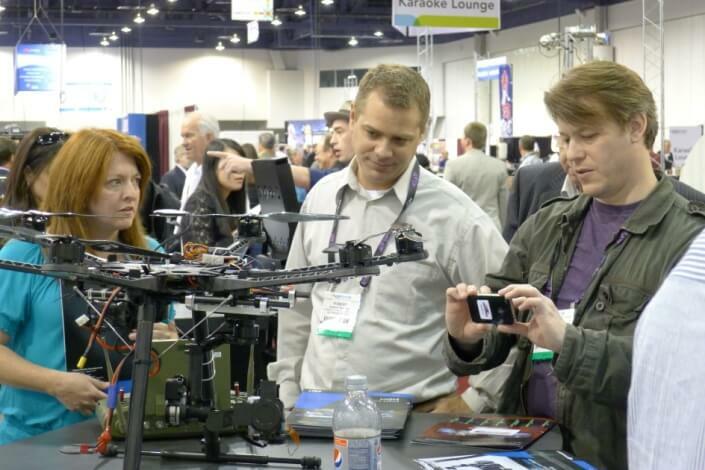 The focus of the NAB Show is on broadcast and television, including related peripheral technology development trend and difficult challenges, such as professional aerial equipment, electronic entertainment equipment, etc. Every year, the Show attracted more than 100 thousands of professionals from more than 160 countries and regions all over the world and gathered a lot of top decision makers from all walks of life, including commercial information industry, news media and telecommunications services, who will reveal the trend of telecom products, technology and services which are related to communication entertainment and media. Many famous international corporate such as Canon, Panasonic, RED EPIC will come to the Show. 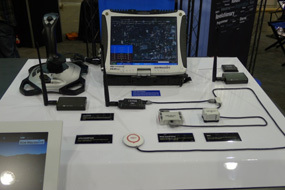 Although it was the first time for DJI to take part into this kind of exhibition as a new comer to the professional photography camera field, DJI’s display of the professional solutions for the aerial shooting and the live show of flight demo attracted numerous visitors’ eyeball depend on its years of technology accumulation and its strong strength of independent research and development. 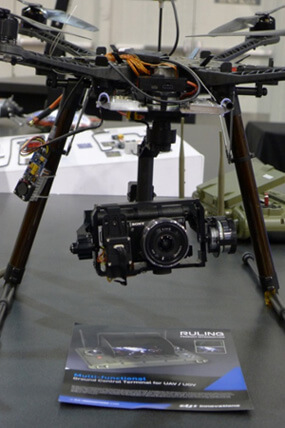 The displayed solutions includes, the Zen-muse three-axis gimbal system, the Spreading Wings S800 heavy payload multi-rotor aircraft, the Wookong-M professional autopilot system and the Ruling multifunctional all-in-one handheld controller. All these products with the simple operational mode, the acme shooting results and accurate control system gave an incredible impression to the audiences. 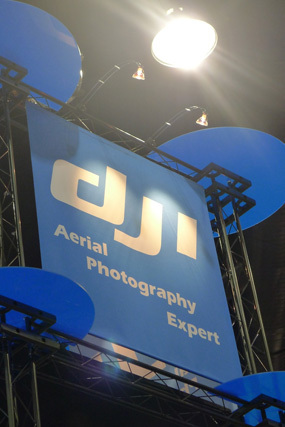 DJI’s first show left the audiences a deep impression, it not only prompted DJI and the local enterprises reached a lot of cooperation intention, but also marked that DJI’s professional innovation products entered a new field successfully. 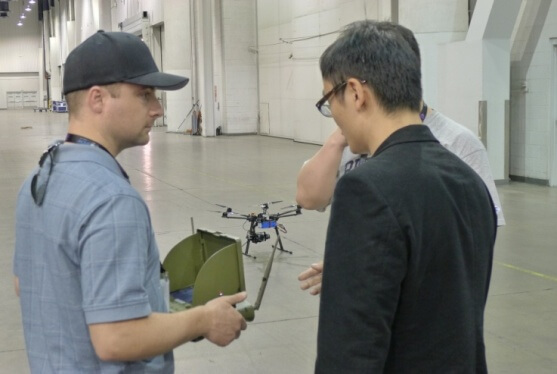 This success is a new starting point for DJI’s innovation revolution.